The Senate on Thursday in a surprising move rejected President Goodluck Jonathan's nominee, Mrs Mfom Akpan, as the chairman of the Federal Inland Revenue Service (FIRS). 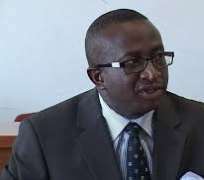 The Senate opposed the efforts of by the Senate Leader Victor Ndoma-Egba, to refer the nominee to the concerned committee for screening failed as a Lawmaker, Senator Kabiru Marafa, opposed the move. President Jonathan had in a letter addressed to Senate President asked the Senate to confirm Mrs Mfon Akpan as the FIRS Chairman. The President in the letter expressed hope that the confirmation of the nominee would be given an expeditious treatment. However, efforts The incident on the floor of the Senate was a resurgence of the long drawn controversy that has trailed moves to replace the former FIRS boss Mrs Ifueko Omoigui-Okauru since her appointment expired about one-and- half years ago. The drama over the confirmation began Thursday when Senator Kabiru Marafa (Zamfara West), raised a Point of Order, citing Order 45 in Senate Standing Rule to oppose the move. However, the Deputy Senate President, Ike Ekweremadu, who presided over the sitting ruled him out of order on realising that the order required two-thirds support. Similarly, the motion to defer the agenda to another legislative day was seconded by Senator Boluwaji Kunlere (Ondo North). However, Ndoma-Egba later explained that what happened did not imply that the nominee had been rejected; saying rejection can only come up after the screening committee has recommended her for confirmation. Therefore, he said the appointment was still valid adding that the motion to refer the nomination to the committee would duly be revisited. He said 'My motion was for the President's request to be referred to the committee. So, the question that was put was on the referral of the President's request to the committee and that was what was negative. Throwing more light on the matter, Chairman, Senate Committee on Rules and Business, Senator Ita Enang, said the Senate only disagreed that the nomination be referred to the appropriate committee. According to him, the first motion was that the matter should be deferred till another legislative day but the senators disagreed. He said the senators also rejected another motion that the nomination be referred to the appropriate committee, affirming that the nomination is still valid. But Senator Victor Lar (Plateau South), disagreed, saying in clear terms that what happened yesterday was a statement that Northern senators were vehemently opposed to the nomination of Akpan as the Executive Chairman of FIRS in the spirit of Federal Character. According to Lar, the longest serving chairman of FIRS was Mr. David Olorunleke, from the South-west zone adding that the last occupant of the position, Mrs. Ifueko Omoigui-Okauru, hails from the South-south, both from the South. Further, he said Alhaji Kabir Mashi, who hails from the North and has been acting in the office since the exit of Omoigui-Okauru, deserves to be appointed to head the agency in the spirit of federal character.